If you are like most families, you have more “Stuff” than you think you have. Over time, we accumulate all kinds of household items, gifts, toys, clothing, furniture and the list goes on…We put these items where we think makes sense at the time, or, where we can find the room to get them out of our way. Or in some cases, maybe in the way. And finding out just how much stuff you have is never more evident than when you move. All of a sudden, you get a real sense of just how much you have been packing away in the dark corners of your home for years. If getting rid of items is not an option as you prepare for your upcoming move, what many families do is use a self-storage facility to either store items temporarily or help in the process of staging their home. Make sure whatever you put in your self-storage unit is in a detailed list. Your moving company will need this to give you an accurate estimate. If you inform your moving company on the day of your move that you need to have them pack up the contents of your storage unit, you’ll be incurring more cost on your move. Where Is Your Storage Unit Located? You need to inform your moving company where your storage locker is located. Is it around the corner or two towns away? Knowing this help your moving crew stay on schedule and keep track of your items. It is also good to let them know what floor your storage unit is located on. It makes a big difference for the crew and the tools they might need to move your items from one location to the next. You might be asking, why would I rent a storage unit far away from my house? Well, two reasons. First, sometimes, storage facilities don’t have any room and you need to shop around. But two, if you are moving to another town, it might just make sense to keep your items closer to your new destination. What can really help your moving company is photos. Take as many photos as you can of the items you have stored and the storage unit. This will give your moving company a perfect snapshot of what they are dealing with on your moving day. 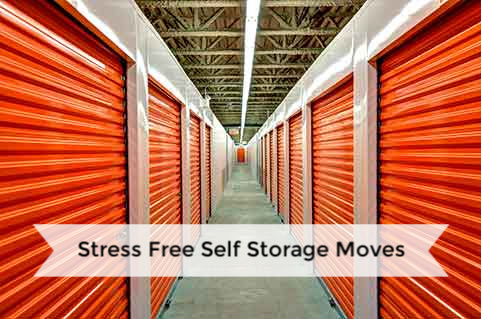 It will help them with the size of your items as well as a good idea of weight and the amount of help they will need to empty your storage unit. It will also help you get an accurate price. Utilizing a storage unit can be a great idea for a move as well as getting those extra pieces of furniture out of the way while you show your home for sale. Just prepare a little and you’ll well on your way to your new destination. And an accurate quote from your moving company.